The KONG Nibble Critters are cat toys with catnip. The soft toy has several textures, which makes it good for your cat's teeth. The toy is perfect to simulate hunting, as it is easy to grab onto. The KONG Nibble Critters immediately attracts your cat because of the added catnip. This is a herb cats are crazy about. The toy has different textures. That is very important, as the rough textures clean the teeth. The toy is also partially elastic, providing a lot of grip. 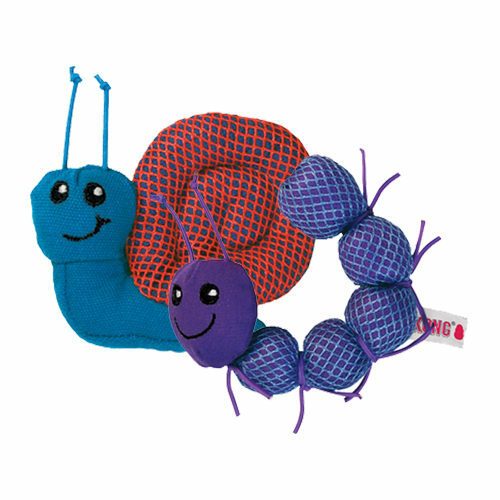 The KONG Nibble Critters come in two varieties. Have you used KONG Nibble Critters before? Let us know what you think about this product.